“Super Smash Bros. for the Nintendo 3DS” is finally out and, like many, I have been waiting since the game was officially revealed at E3 2013. Nintendo’s popular fighting game is now portable for the first time, and it is every bit as fun as the past home console versions. Despite my worries of a less than stellar handheld version, Nintendo delivered. “Super Smash Bros. for 3DS” combines the core elements that has made the franchise so popular, along with new features such as a new game mode, customizable move sets and of course new characters and stages. The new game mode is Smash Run, a five minute mad dash to collect power-ups for your fighter, such as speed, jump and attack boosts to name a few. Smash Run is entertaining, however the end result (a fight against other powered up fighters), leaves a lot to be desired. While the idea for the mode is certainly creative, it is not where the game shines the most. “Super Smash Bros.” is a series that has always been at its best when you are playing with your friends, and “Smash Bros. for 3DS” is no exception. Local multiplayer is synonymous with Smash Bros and, to no surprise, beating the crap out of your friends is the most satisfying aspect of the game. This installment in the series is meant for either playing a few matches on the go, or sitting next to friends and playing against them. Trash-talking friends throughout the game and aspiring to Smash Bros. glory amongst those with whom you play is one of the best traits of the game. In order to attain Smash Bros. glory, however, you have to pick the right character. 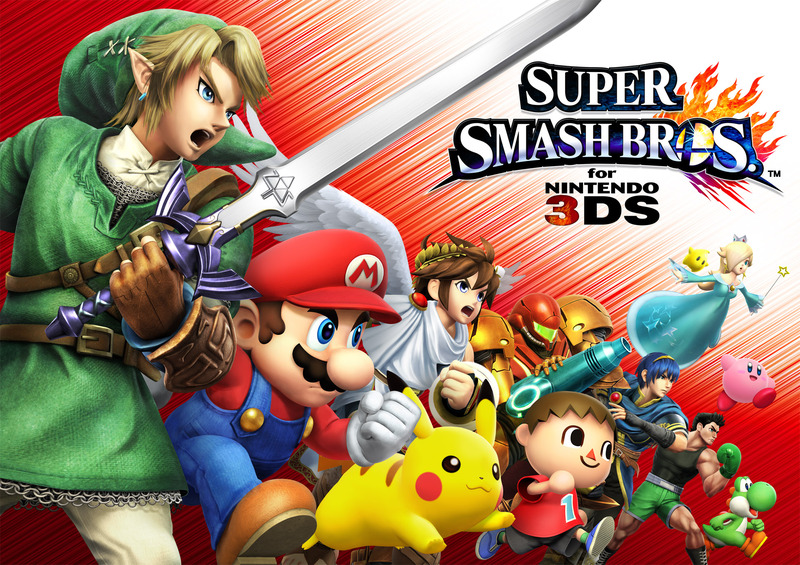 “Super Smash Bros. for 3DS” boasts a whopping 49 character roster, 15 of which are brand new to the series. No matter your playing style and preferences, “Smash Bros. for 3DS” offers a character for you. While opinions vary on what the roster size should be in a “Super Smash Bros.” game, I feel that having a large roster offers a lot of variety and content for those who want to learn about the different styles and mechanics for each fighter. A list of characters available for play in “Super Smash Bros. 3DS.” Photo by Video Games Blogger. Perhaps the only disappointment regarding the roster is some unnecessary tweaking done to the fighters featured in previous “Super Smash Bros.” games. Some fighters, such as Toon Link, were changed in small ways that are noticeable to veteran Smash players. One example of this is the changing of Toon Link’s down A move to be significantly weaker. Small changes such as this are a little bit perplexing, especially when middle-of-the-road characters are the ones being weakened. “Super Smash Bros. for 3DS” is not the main course, but it is certainly bigger than just an appetizer leading up to “Smash Bros. for Wii U.” The first handheld entry in the series is exactly what it needs to be: a portable version of Smash Bros. The wildly popular Nintendo fighter feels right at home on the 3DS, and it is an immediate classic within the Nintendo 3DS’s library of games. Nintendo’s Wii U: Should you buy it at launch?